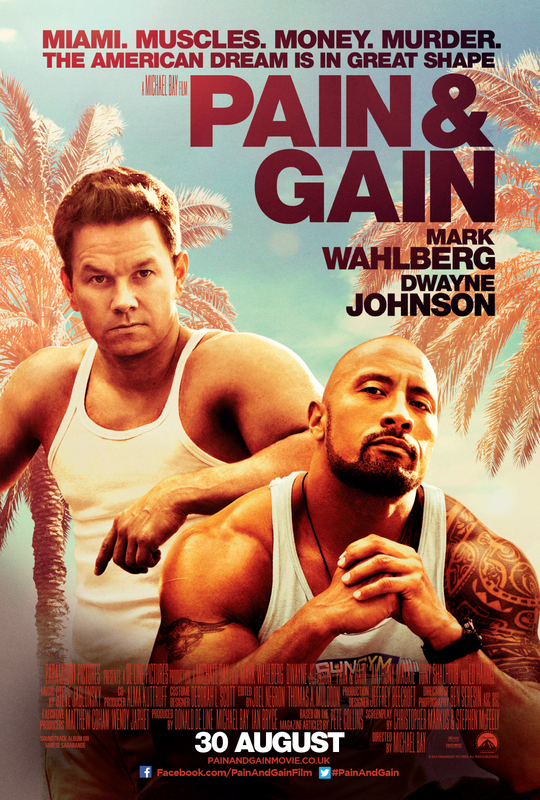 Released back a couple of months ago and quite a success in the US, Michael Bay “smaller personal” movie Pain & Gain is set for a UK screens on August 30th. Starring along Mark Wahlberg and Dwayne The Rock Johnson, we also have Anthony Mackie, Rob Corddry, Tony Shaloub, Rebel Wilson and Ken Jeong. Based on a true story Walhberg and Johnson play a set of Miami bodybuilder that come up with a quick rich quick scheme involving a rich business man that goes horribly wrong. Probably one of the best reviewed Michael Bay movies in a long while, and defintely one we are looking forward to. We will most likely have a review for you when the movie comes out but until then, enjoy the new clip and the poster! The marketing collateral and trailers for the The Hangover III all promised that this final chapter would be “…the epic conclusion to an incomparable odyssey of mayhem and bad decisions…” As adverts always say the truth my expectations were set high. The Hangover Part III reunites Bradley Cooper, Ed Helms, Zach Galifianakis, Justin Bartha and Ken Jeong as Phil, Stu, Alan, Doug and Leslie Chow. Now two years later all the members of the “Wolfpack” are settled in their uneventful lives… The only member of the pack who’s not content is Alan, who has been of his meds and seems to have lost all sense of purpose. The events start when Alan’s father, played by Jeffry Tambor, died of a heart attack following his son being responsible for a highway pile up caused by his beheaded pet giraffe. Following this hilarious event the three friends step in to make sure Allan seeks the help he needs. This will take the boys on an unplanned road trip to Mexico and Vegas on the hunt for Chow and the lost gold of bad guy, Marshall, played by John Goodman. This time around there are no crazy tattoos, unplanned weddings or drug fueled nights that lead to mass amnesia…. Unlike in the first two Hangover movies Helms and Cooper mainly have supporting roles. This allowed for Zach Galifianakis’s character to become the lead closely followed by Ken Joeng. Galifianakis hilarious unpredictability makes way to expose a sensitive and needy side that paves the way to an unexpected romance, while Chow evolves from a crazy cokehead into a full blown psychopath. The character chances also mean that most of the slapstick humor, that made the first two movies a success, made place for a more robust, albeit predictable story. This makes The Hangover III, more of a comedy thriller that can be enjoyed on many different levels. But let’s get back to what The Hangover’s spin-doctors want us to believe. 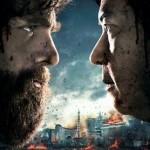 Is this truly an “Epic Conclusion” to The Hangover Trilogy? Well, it isn’t. It isn’t Epic nor is it a “final conclusion” and I predict we will see a fourth installment in the years to come. That being said, The Hangover III did not disappoint it was really enjoyable and at times even managed to make the entire theatre laugh in unison. If you’re not into Leonardo di Caprio or Science Fiction then The Hangover III is probably your best bet if you’re looking for a movie that the whole family will enjoy on a rainy bank holiday weekend. 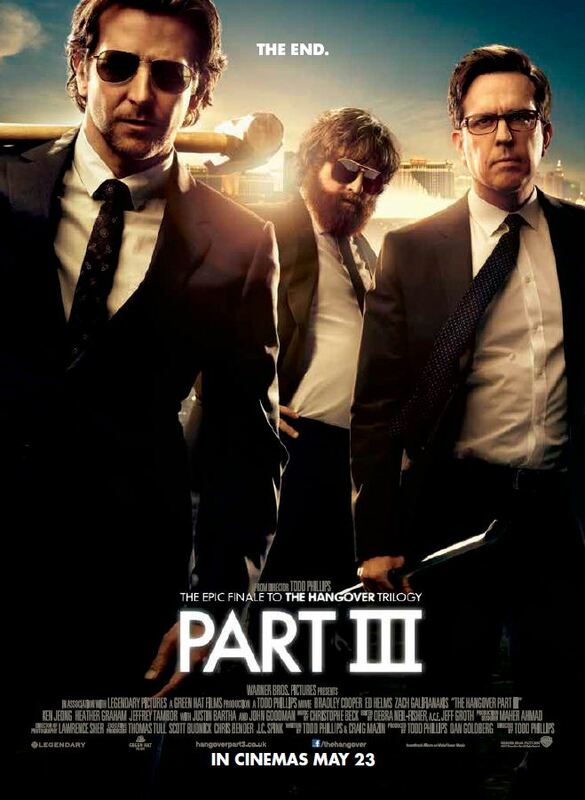 The Hangover 3 is in UK theaters now! For the Epic conclusion of this film we had to bring in an epic fan of the movie to write this up,you can follow our guest blogger, Stephane on twitter by clicking here. The latest instalment of booze-fulled mayhem and its after-effects is here! Directed by Todd Phillips and starring Bradley Cooper, Zach Galifianakis, Ed Helms, Justin Bartha, Ken Jeong & John Goodman, The Hangover III is released May 24th. This time, there’s no wedding and no bachelor party. What could go wrong, right? When the Wolfpack hits the road, all bets are off.